I hope you are all doing well and are having a great start to the week. Happy June everyone, here is to the sixth chapter of our 2015 journey (can't believe it is June!). I thought today I would bring you a fabulous new release from one of my favourite beauty brands. 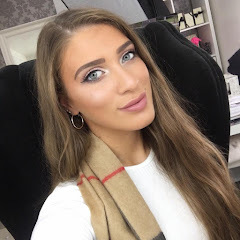 Benefit has always been a brand that stood out to me and I have loved their overall ethos and product range for as long as I can remember...they can literally do no wrong. 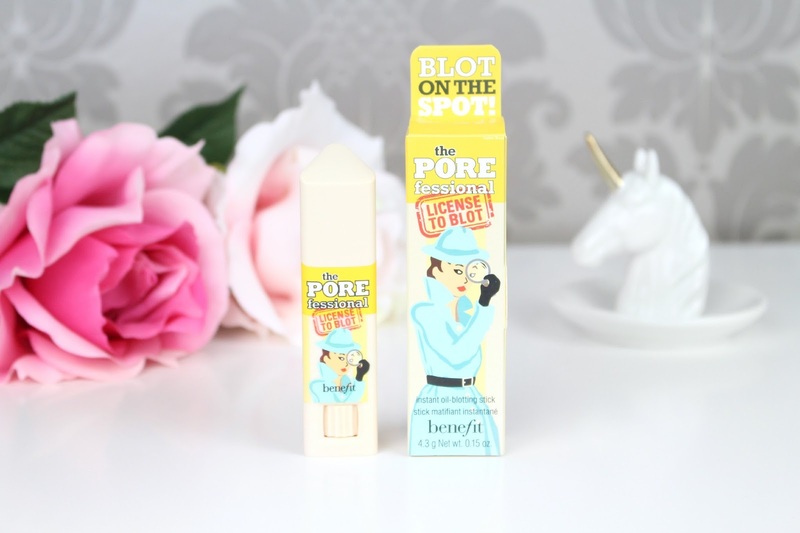 Benefit have well and truly done is again with their latest release of 2015, 'License to Blot'. SpyGal has a new secret weapon in her mission to defeat pores, oil and shine - and the whole POREfessional family is really turning out to be the POREfect trio. 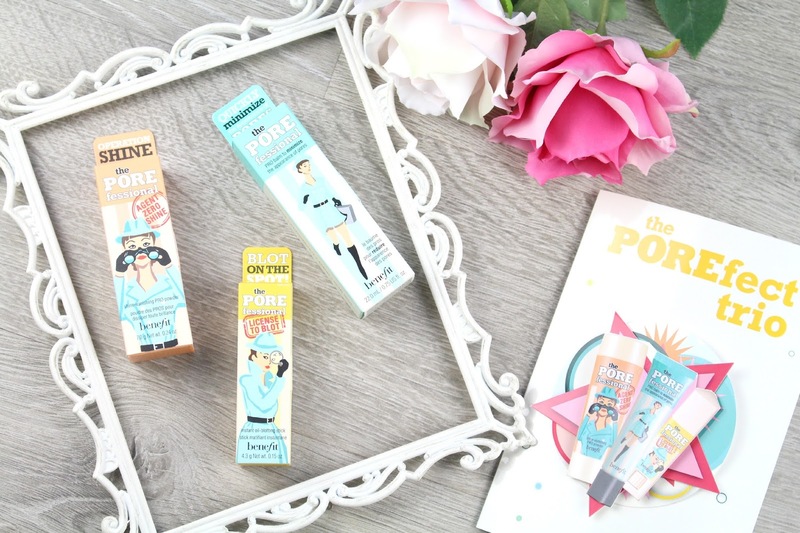 It is no secret that Benefit's POREfessional is one of their best selling product and after releasing their equally favoured POREfessional Agent Zero Shine why not add another to the POREfessional family mix?! I didn't quite know what to expect with this little gem, however, just like the other two products in the family you can use this under and over your makeup to suit your skin type. The only thing that worries me about applying this over makeup is the fact that makeup will or may transfer onto the stick itself. I am sure this could be easily removed, however, for someone with OCD like me it is not ideal haha. You can literally blot on the spot with this instant oil-blotting stick with tiny invisible blotting spheres which mattify shine for up to 6 hours after application. I am still not 100% sure about the six hour claim, however, License to Blot does provide a good few hours of oil control and is a perfect handbag hero to transform your makeup. I really love how compact the product is and alongside the others in the collection almost looks like the younger sibling or baby of the family. License to Blot is presented in a compact rectangular tube with a twist applicator that is incredibly easy to use but easy to spot with it's super bright and fun Benefit packaging and beloved SpyGal branding. Not only is License to Blot perfect to use in your makeup routine, it is perfect to blot on the go. Just like with many other Benefit products the particular License to Blot branding and shape has been designed for a reason. The specially designed rectangular tip targets shiny zones...and is perfect to get up close and personal around the sides of your nose, forehead and chin. Oil has finally met it's matte! 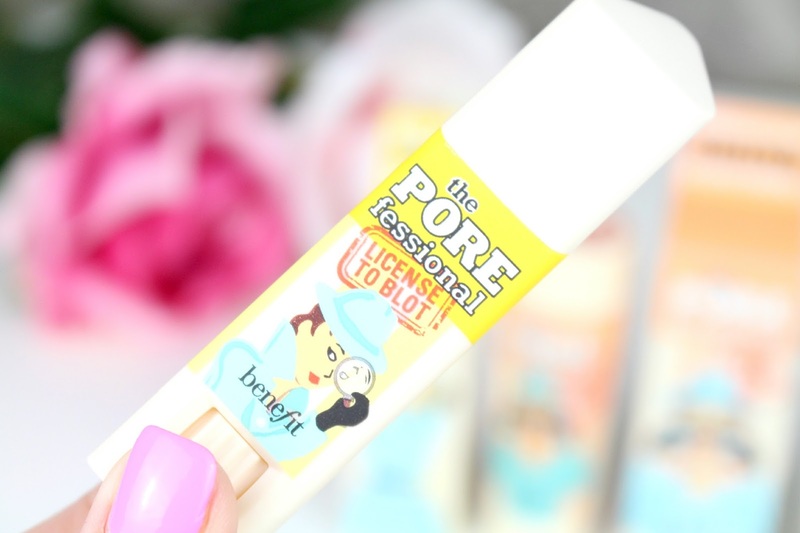 To some the twisty packaging may resemble a glue stick, however, License to Blot is far from anything you would use for crafts or special effect makeup. You can feel the product on the skin, however, it is nothing discomforting and the formulation glides onto the skin like a dream whilst leaving a flawless matte finish. 100% saw continuous mattifying action, 97% said it helped minimise and blur out the appearance of pores and 100% said it absorbed excess surface oil without fail. Those are some great statistics. Benefit even recommend getting triple the POREfection and using all three products together. Firstly start by blending the POREfessional primer all over the face to minimise the appearance of pores, then target oily spots with License to Blot and then sweep on Agent Zero Shine powder for all over shine control. They really are the POREfect trio! Personally, I think the £15.50* price tag is a complete bargain for a fabulous new beauty release. However, I don't mind spending a little extra on skincare products I know are actually going to make a difference in my routine...or on anything Benefit for that matter - I am a true Benefan! I would definitely recommend stopping by your local counter and picking up a sample of License to Blot if you can and giving it a try for yourself, especially if you are a little wary of purchasing the full size before seeing it in action. Overall, I am extremely impressed with Benefits newest release and I have a feeling it is going to hold a firm place in my skincare and beauty routine - my skin was screaming for this product at work earlier haha. I also think it is going to be a fabulous product for the Summer time with the warmer weather slowly approaching. If you would like to find out more about License to Blot you can do so my visiting to Benefit website here or by visiting a local counter - the Benebabes are always on hand to help! 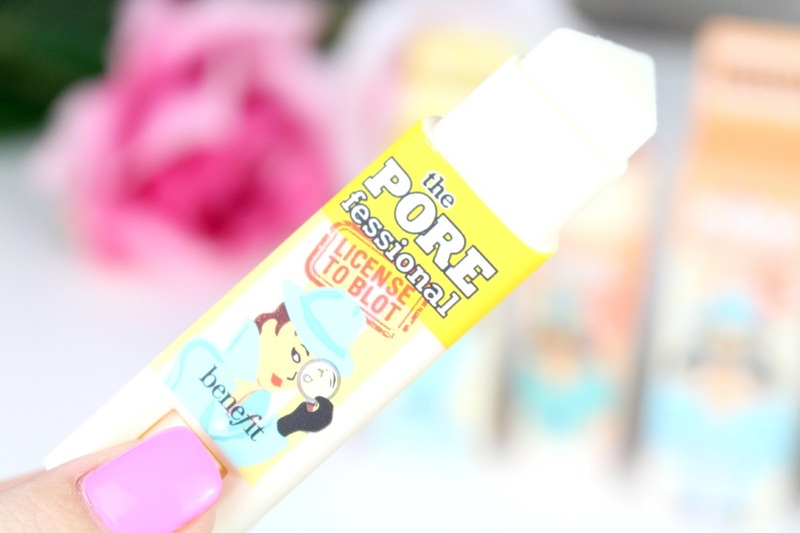 POREfessional License to Blot launches this June and will be available to purchase and browse online and in stores. To celebrate the triple dose of POREfection, Benefit want you to get snapping! Use a picture frame, pop your POREfessional goodies in there and share your POREfect family POREtrait. Benefit will be keeping an eye out for their favourites and will be regramming and sharing them via social media. I hope you all enjoyed this post and finding out about Benefit's newest release. Like always lovelies, if you have any questions, requests or if you just want a chat you can contact me on my social media or leave me a comment below. I love hearing from you all and I make sure to read every single comment…they really make my day! What are your thoughts about License to Blot? Will you be giving it a try? I quite want to try License to Blot after you've talked above it, but I get oily around my t-zone so would probably use it underneath make up to keep it matte, otherwise it'd probably take off my foundation. Wow this sounds like a great product. Would love to try this soon. I love the concept behind this product so much! Oooo I want this! I love the porefessional primer so this sounds perfect. Great photos!, another Benefit products to add to my wishlist. This looks amazing! I love Benefit proucts! I wasn't completely sold on Poreessional but I'm pretty keen to try this! This sounds amazing! I love Benefit products. I wasn't completely sold on porefessional but I'd love to try this! I really want that powder in my life, I love the sound of it!